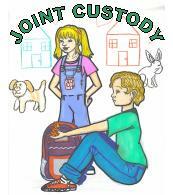 History: I started writing Joint Custody in 2002 after a long string of reading Newbery Award-winning books that disappointed me. I heard myself saying "I could do better than THAT!" several times before it struck me that if that was the case, I should do so. Joint Custody is the result. I figured it needed to address a relevant issue for children these days, so I picked divorce. But it also needed to be unique, and if anything, Bay is unique. When I finally finish this book, I hope many kids will relate to him. This is aimed at upper elementary school kids. About Joint Custody: This book catalogues the mental wanderings of a confused kid called Bay. It reads a bit like stream-of-consciousness, but in his roundabout way, he really is saying something, making observations. Bay's parents split up when he was very young, and now he feels as though he has no home. He is either at "Mom's house" or "Dad's house." Bay thinks deeply for an eleven-year-old, and he shares his philosophical ponderings about roadkill, conformity, having two houses, and the mysterious girl named Marz who's always taking his picture. First-person present-tense story about a kid who thinks a little differently and just wants to know where home is. Chapter 2: Vanilla. When Bay's mom goes on a date, she leaves him with a baby-sitter, and it turns out the sitter is a lot cooler than he'd expected. She also turns out to be related to his schoolmate Marz, about whom he knows little even though she's been taking his picture randomly since they were seven years old. Here he learns more about Marz through her sister, and subjects the reader to more of his philosophical ponderings. Chapter 3: Marz. Bay is out getting into mischief with his friends Tony and Mike when they run into Marz in the street. They decide to go on a swimming adventure, and finally Bay gets to interact with this girl who's been a mystery to him all his life. But what is he supposed to do if he makes a mistake? You'll see. 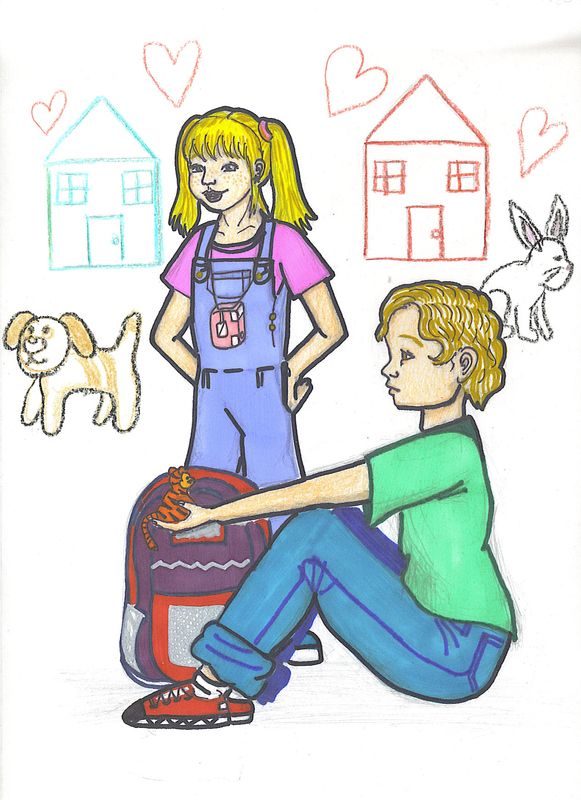 Keywords: MIDDLE GRADE CONTEMPORARY: Juvenile, school, divorce, family issues, animal rights. See the art that's on the "cover"